One of the hardest parts of giving up drugs or alcohol can be the feeling of total aloneness. Even those with close friends and family often find that their loved ones cannot understand the difficulties of their road to recovery. Fortunately, support groups provide a place to share experiences with others following similar journeys. Engaging with a support group is one of the best ways to stay motivated, remain positive, and receive concrete advice on how to maintain sobriety. Most drug and alcohol support groups operate from the understanding that addiction is a disease. This way of thinking about addiction has a lot of support from experts, who often view alcoholism or drug abuse as similar to other chronic conditions like cancer or heart disease. Part of the purpose of a support group is to better understand the origins of addiction. Beginning to accept that addiction is a part of you, and a part that cannot be eliminated completely (much like a person can’t be sure that treatment has gotten rid of cancer forever) is an important step in the recovery process. 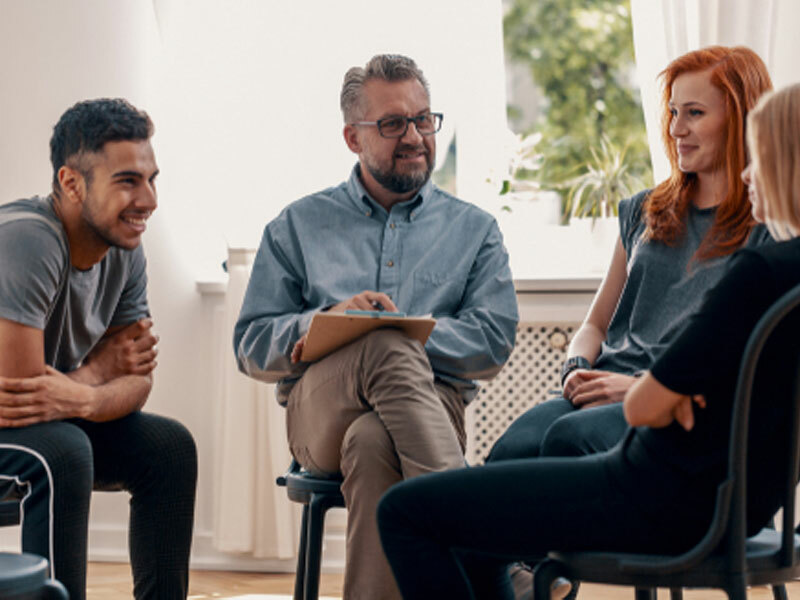 Most support groups focus on helping individuals better understand addiction and learn practical skills for managing their drug and alcohol problems. One of the foremost problems for people in the early stages of recovery is managing cravings. For many people, cravings seem inevitable and irresistible. During the support group, you’ll likely hear from others experiencing the same types of cravings that you’re enduring. Group members can help each other identify triggers for cravings and come up with safe behaviors as alternatives to giving in to the craving. Recognizing the association between cravings and the people, places, and things around you is an important part of learning to master those cravings. Living with addiction changes nearly every part of a person’s life, but difficulties in relationships can often be most challenging to manage. Addiction touches relationships with romantic partners, parents, children, siblings, friends, and even work colleagues. Members of an addiction support group will often discuss the ways their addiction and resulting behavior has affected those around them. For many people, recognizing the destructive influence addiction has had on their loved ones can be a life-changing part of the recovery process. Identifying meaningful relationships versus those that kept a person in the cycle of addiction can be eye-opening. Support group members can offer their experiences with breaking off destructive relationships, repairing broken bonds, and cultivating new, healthy friendships. Addiction does not occur in a vacuum. Rather, there are many forces that reinforce drug-seeking behavior and make it rewarding. Recognizing those patterns can help a person change her behaviors to get out of the cycle of drug abuse. One of the primary concerns is interpersonal relationships that may enable someone to continuing using. For example, having a spouse who also uses drugs can be incredibly destructive. Alternatively, unemployment or low self-esteem may make drug use seem like the only reasonable option. During support group meetings, you may be challenged to recognize factors that enabled your drug use and perpetuated the problem. This might be a person, an event, or a set of life circumstances. Coming up with ways to change your relationship to the enablers is a great way to ensure that you stay healthy and sober. Support groups offer a crucial function: they provide a community of people going through similar struggles who can rely on one another for support. Although relapse looks different for each person, most individuals show certain warning signs before breaking sobriety. Learning the warning signs can prevent relapse. In many cases, group members may note signs of crisis in a person that he hadn’t realized himself. Recognizing those warning signs allows a person to seek assistance when feeling weak or powerless to manage his addiction.